This Piece will be on display at Fresno Arthouse for the Star Wars Artshow. 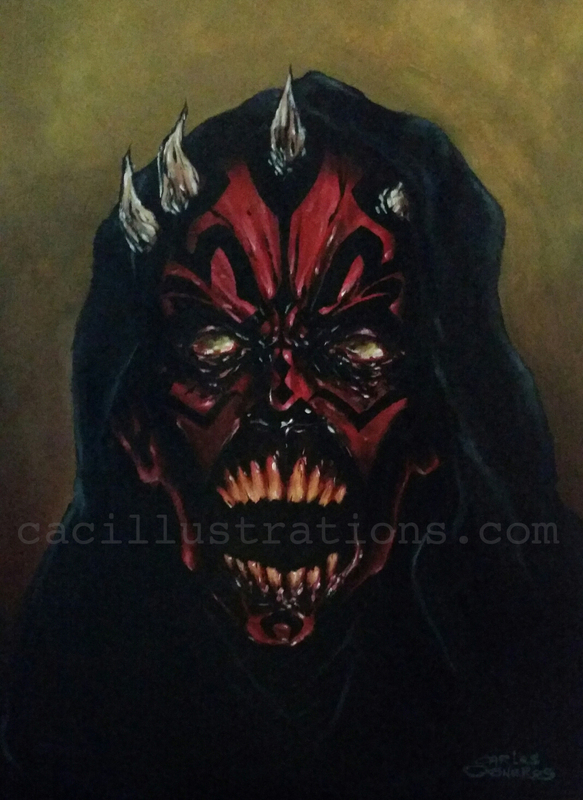 This entry was posted in Artwork and tagged 559, 559 art, acrylic on canvas, acrylic painting, art, arte, arthop, cacillustrations, carlos cisneros, chicano art, comic art, darth maul, drawing, fan art, fantasy art, fresno, fresno arthop, fresno arthouse, illustration, ilustracion, mixed media, painting, pintura, portrait, retrato, star wars, street art. Bookmark the permalink.